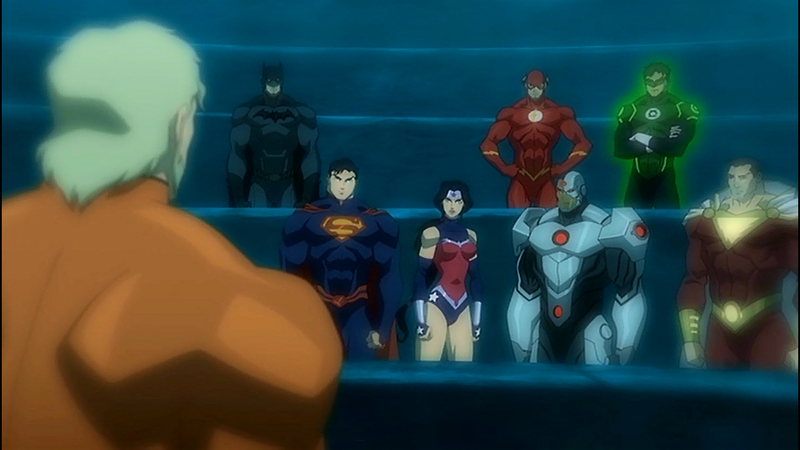 Justice League: Throne of Atlantis, the latest in DC’s new animated cinematic universe that began with last year’s Justice League: War and continued with Son of Batman (and will continue on after Throne of Atlantis with this year’s Batman vs. Robin) was released on January 13 on digital platforms such as Vudu, Xbox, Flixster, and more, and will be released next week on Blu-ray Combo Pack and DVD. Throne of Atlantis picks up where the story of War ended (particularly the post-credit sequence featuring Orm/Ocean Master.) We first meet the newly-formed Justice League as they struggle to even identify as a team at all, pulled together into a loose alliance when Cyborg discovers an imminent threat deep in the Marianas Trench. As the “team” tries to get to the bottom of this mystery, Arthur Curry tries to solve a mystery of his own– getting to the bottom of his own identity and the source of his strange powers. Though he doesn’t know it yet, he will soon have to rise up to the challenge his heritage offers: accepting his role as the bridge between our world and that of Atlantis, as none other than Aquaman! Witness the courageous journey of Arthur Curry as he takes his place as the heroic Aquaman and the Justice League comes together once again in Justice League: Throne of Atlantis! 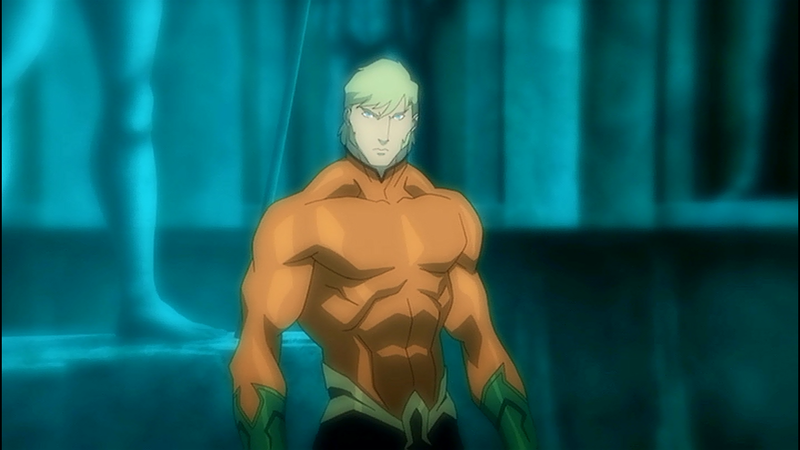 The talent that went into creating this film is evident in every moment of the movie– from Matt Lanter‘s breakout performance as Aquaman to the detailed character design by Phil Bourassa, not to mention Andrea Romano‘s skill for always picking just the right voice (whether a replacement for a cast member from War like Nathan Fillion, perfect as Green Lantern, or bringing back an existing Justice League-r like Shemar Moore as Cyborg.) And let’s not forget to thank writer Heath Corson for his adaptation of the original Throne of Atlantis by Geoff Johns, and of course Supervising Producer James Tucker for bringing them all together! 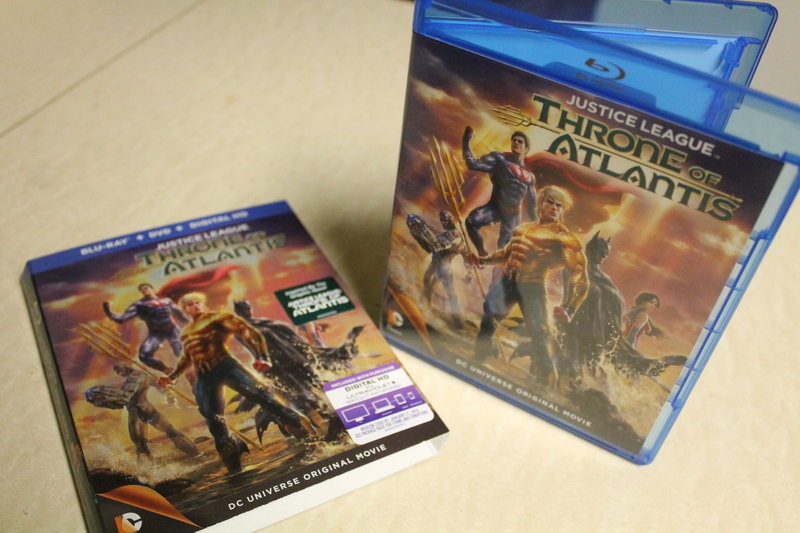 Justice League: Throne of Atlantis builds wonderfully on the path set by its predecessors, and opens the door well for upcoming DC animated original movies (hint: DEFINITELY wait until after the credits!) It’s a solid pick for fans of the Justice League, Aquaman (he’s cool, I promise! ), and of course, superhero lovers in general (especially those who happen to enjoy the DC universe, of course.) I can’t wait to see what’s in store next from DC’s animated universe!